“A team of Microsoft researchers said Wednesday that they believe they have created the first machine translation system that can translate sentences of news articles from Chinese to English with the same quality and accuracy as a person. Researchers in the company’s Asia and U.S. labs said that their system achieved human parity on a commonly used test set of news stories, called newstest2017, which was developed by a group of industry and academic partners and released at a research conference called WMT17 last fall. To ensure the results were both accurate and on par with what people would have done, the team hired external bilingual human evaluators, who compared Microsoft’s results to two independently produced human reference translations. 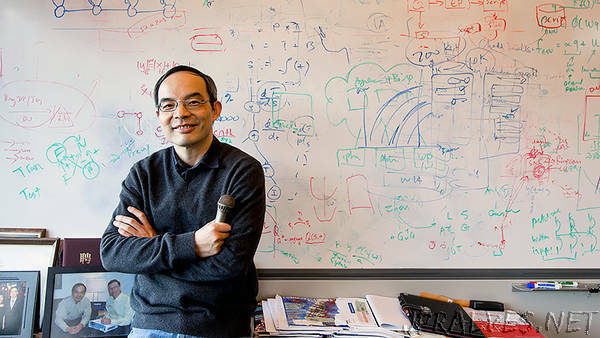 Xuedong Huang, a technical fellow in charge of Microsoft’s speech, natural language and machine translation efforts, called it a major milestone in one of the most challenging natural language processing tasks. Huang, who also led the group that recently achieved human parity in a conversational speech recognition task, said the translation milestone was especially gratifying because of the possibilities it has for helping people understand each other better. Machine translation is a problem researchers have worked on for decades – and, experts say, for much of that time many believed human parity could never be achieved. Still, the researchers cautioned that the milestone does not mean that machine translation is a solved problem. Ming Zhou, assistant managing director of Microsoft Research Asia and head of a natural language processing group that worked on the project, said that the team was thrilled to achieve the human parity milestone on the dataset. But he cautioned that there are still many challenges ahead, such as testing the system on real-time news stories. Arul Menezes, partner research manager of Microsoft’s machine translation team, said the team set out to prove that its systems could perform about as well as a person when it used a language pair – Chinese and English – for which there is a lot of data, on a test set that includes the more commonplace vocabulary of general interest news stories. “Given the best-case situation as far as data and availability of resources goes, we wanted to find out if we could actually match the performance of a professional human translator,” said Menezes, who helped lead the project. Menezes said the research team can apply the technical breakthroughs they made for this achievement to Microsoft’s commercially available translation products in multiple languages. That will pave the way for more accurate and natural-sounding translations across other languages and for texts with more complex or niche vocabulary. Although academic and industry researchers have worked on translation for years, they’ve recently achieved substantial breakthroughs by using a method of training AI systems called deep neural networks. That has allowed them to create more fluent, natural-sounding translations that take into account an even broader context than the previous approach, known as statistical machine translation. To reach the human parity milestone on this dataset, three research teams in Microsoft’s Beijing and Redmond, Washington, research labs worked together to add a number of other training methods that would make the system more fluent and accurate. In many cases, these new methods mimic how people improve their own work iteratively, by going over it again and again until they get it right. One method they used is dual learning. Think of this as a way of fact-checking the system’s work: Every time they sent a sentence through the system to be translated from Chinese to English, the research team also translated it back from English to Chinese. That’s similar to what people might do to make sure that their automated translations were accurate, and it allowed the system to refine and learn from its own mistakes. Dual learning, which was developed by the Microsoft research team, also can be used to improve results in other AI tasks. Another method, called deliberation networks, is similar to how people edit and revise their own writing by going through it again and again. The researchers taught the system to repeat the process of translating the same sentence over and over, gradually refining and improving the response. The researchers also developed two new techniques to improve the accuracy of their translations, Zhou said. One technique, called joint training, was used to iteratively boost the English-to-Chinese and Chinese-to-English translation systems. With this method, the English-to-Chinese translation system translates new English sentences into Chinese in order to obtain new sentence pairs. Those are then used to augment the training dataset that is going in the opposite direction, from Chinese to English. The same procedure is then applied in the other direction. As they converge, the performance of both systems improves. Another technique is called agreement regularization. With this method, the translation can be generated by having the system read from left to right or from right to left. If these two translation techniques generate the same translation, the result is considered more trustworthy than if they don’t get the same results. The method is used to encourage the systems to generate a consensus translation. Zhou said he expects these methods and techniques to be useful for improving machine translation in other languages and situations as well. He said they also could be used to make other AI breakthroughs beyond translation. The test set the team used to reach the human parity milestone includes about 2,000 sentences from a sample of online newspapers that have been professionally translated. Microsoft ran multiple evaluation rounds on the test set, randomly selecting hundreds of translations for evaluation each time. To verify that Microsoft’s machine translation was as good as a person’s translation, the company went beyond the specifications of the test set and hired a group of outside bilingual language consultants to compare Microsoft’s results against manually produced human translations. The method of verifying the results highlights the complexity of teaching systems to translate accurately. With other tasks, such as speech recognition, it’s pretty straightforward to tell if a system is performing as well as a person, because the ideal result will be the exact same for a person and a machine. Researchers call that a pattern recognition task. With translation, there’s more nuance. Even two fluent human translators might translate the exact same sentence slightly differently, and neither would be wrong. That’s because there’s more than one “right” way to say the same thing. The researchers say that complexity is what makes machine translation such a challenging problem, but also such a rewarding one. Liu said no one knows whether machine translation systems will ever get good enough to translate any text in any language pair with the accuracy and lyricism of a human translator. But, he said, these recent breakthroughs allow the teams to move on to the next big steps toward that goal and other big AI achievements, such as reaching human parity in speech-to-speech translation.